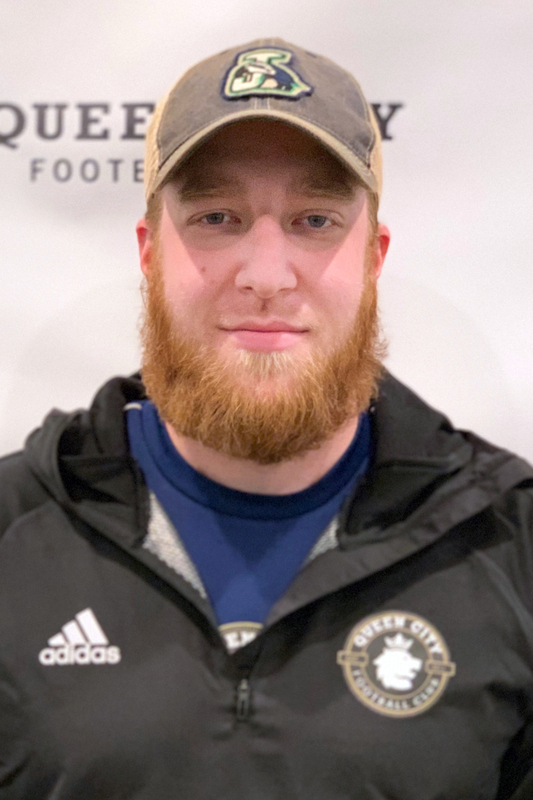 Kyle Underwood is one of the longest tenured coaches on the Queen City FC staff having coached several age groups in both genders. Underwood currently is an assistant coach at Northern Vermont University Johnson. In his first season with the Badgers, the team increased their win total by 5 from the previous year, which was a top 15 turnaround in all of NCAA Division III (2017). In his second season (2018) with the Badgers, the team set program records in NCAA Single Season Wins, goals, assists and points, and returned to the North Atlantic Conference playoffs for the first time since 2010. Underwood helps with all aspects of the program from recruiting to training and film study. Underwood has worked at many different levels in the club and high school coaching ranks over the past decade. Most recently as the Head Girls Varsity Soccer Coach at Missisquoi Valley Union in the fall of 2015 and 2016. Prior to becoming the Girls Varsity coach at MVU, Underwood also served previously as an assistant with the Boys Varsity Soccer team as well. With Queen City FC, Underwood currently plays a versatile role working with player development in many teams within the club Queen City FC. Prior to working at Queen City FC, Underwood served as the Club Director for the Missisquoi Riverhawks FC up in Highgate, Vt. While there he coached several teams within the club and ran day to day operations.